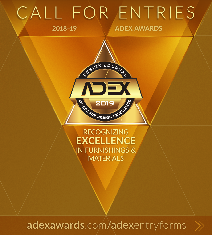 As a condition of use, you hereby agree not to use the Service for any purpose that is unlawful or prohibited by this Agreement or applicable law, or any other purpose not reasonably intended by Design Publications, ADEX Awards, Archinterious. 9. 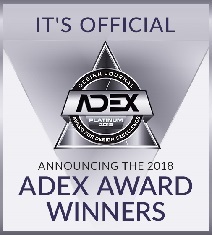 With the intention of artificially inflating or altering the "Writer Rankings," or participating in any other organized effort that in any way artificially alters the results of Design Publications, ADEX Awards, Archinterious's services. Design Publications, ADEX Awards, Archinterious may remove any User Content or deactivate any Design Publications, ADEX Awards, Archinterious account at any time for any reason (including, but not limited to, upon receipt of claims or allegations from third parties or authorities relating to such User Content), or for no reason at all. Copyright © 2019 Archinterious/ADEX Awards™, 23371 Mulholland Dr. #253, Woodland Hills, CA, 91364, United States. All Rights Reserved. archinterious.com, adexawards.com & designjournalmag.com is part of Archinterious/ADEX Awards™. All content, graphics are copyright © with publisher. Any commercial use or distribution without the express written consent of publisher is strictly prohibited.